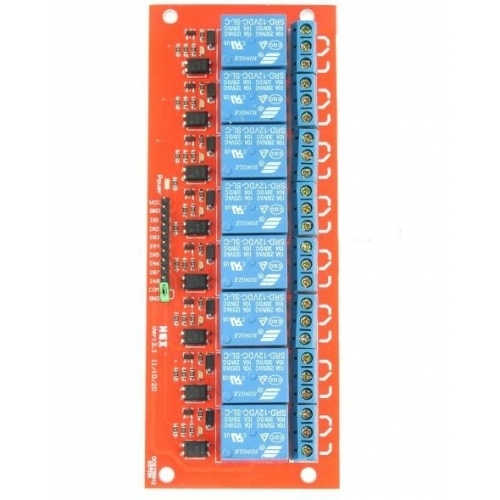 If you want to switch up to 8 high current / high voltage loads from a microcontroller, this 12V relay board can do it. 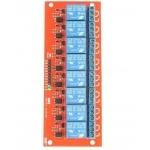 It contains 8 x 12V relays rated at 10A/250V AC (DC 30V/10A). 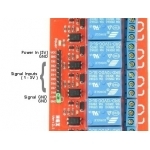 Each relay is switched on/off by an opto-isolated digital input that can be connected directly to a microcontroller output pin. It only requires a voltage of approx 1.0V to switch the inputs on but can handle input voltages up to 12V. This makes it ideal for both 5V and 3.3V devices. 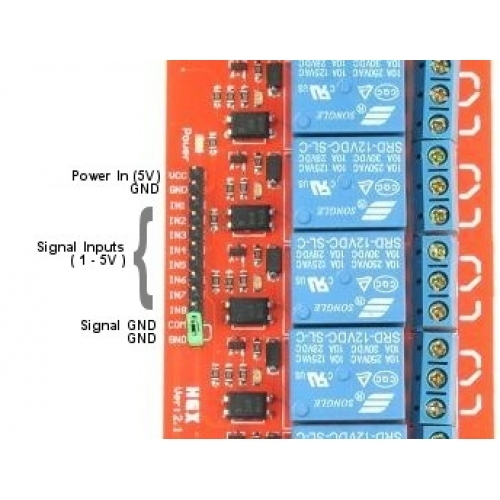 A supply voltage of 12V should be connected to the VCC and GND pins. This is used to power the relay coils when they are switched on. 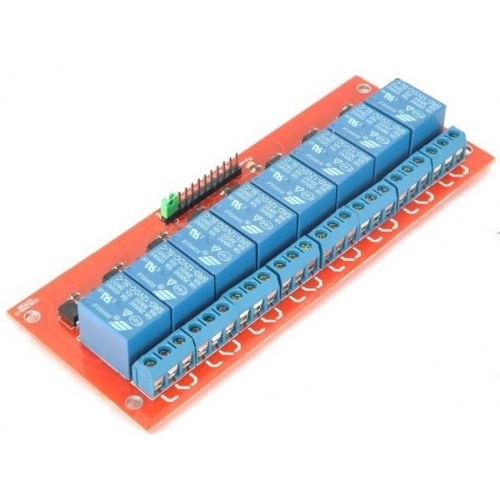 A power Indicator LED indicates power is supplied. Opto-isolated input signals should be supplied between the COM pin (signal GND) and each input pin. There is a shorting link which links the signal ground to the power ground. If you want full isolation for your microcontroller from potentially noisy relays, this link can be removed.